As a 501(c)3, AFF creates positive change for dogs, people, and communities through our service dog program, PAWS jail program, and by funding the training of K9 detection dogs. We provide lawmakers and policymakers with the information they need to create non-discriminatory laws and policies. If necessary, we work within the legal system to end breed-specific discrimination. We also consult with and offer free resources to animal welfare workers and community advocates. We Work to End Discrimination. Racism, classism, and all other forms of human injustice are at the root of canine discrimination because dogs live in the context of human society. Everything about our work centers around our commitment to equality for people and the animals with whom we all share our lives. We keep communities safe by donating shelter dogs specially trained at Sector K9 for K9 detection work to police departments. We train shelter dogs as mobility, active task work, hearing alert, or psychiatric service dogs. We provide these service dogs at no cost to people with disabilities. 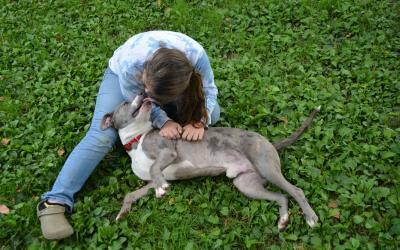 We help rehabilitate inmates through our PAWS of Purpose dog training program at Rikers Island Correctional Facility. The inmates teach the dogs basic manners and socialization. We change the lives of individual dogs by funding animal welfare organizations run by people who share our ethics and goals. We fight discrimination and fear that creates hardships for people, their dogs, and communities by helping lawmakers, advocates, and policymakers access the information they need to end discrimination. When necessary, we provide legal support for people who face breed discrimination. We teach animal welfare professionals evidence-based, honest, non-proprietary, affordable, replicable policies and strategies that help all shelter animals and the people who take care of them. We Are Focused On That Goal. No one at Animal Farm Foundation collects a salary who isn’t directly involved with our mission. We keep our staff lean and focused. 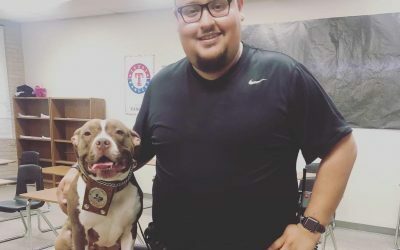 Some members of our staff travel around the country connecting with communities all while keeping the organization running, the rest work directly with our dogs, managing their training and care.